(Phys.org)—'Tis the season for holiday decorating and tree-trimming. 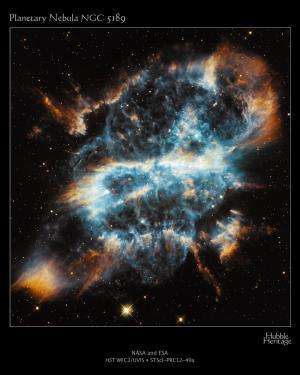 Not to be left out, astronomers using NASA's Hubble Space Telescope have photographed a festive-looking nearby planetary nebula called NGC 5189. The intricate structure of this bright gaseous nebula resembles a glass-blown holiday ornament with a glowing ribbon entwined. This image was taken with Hubble's Wide Field Camera 3 on October 8, 2012, in filters tuned to the specific colors of fluorescing sulfur, hydrogen, and oxygen atoms. 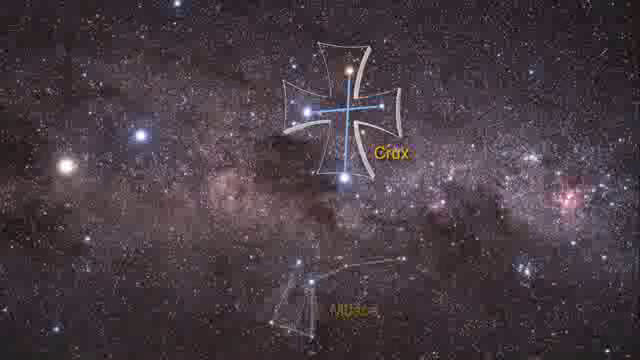 Broad filters in the visible and near-infrared were used to capture the star colors.